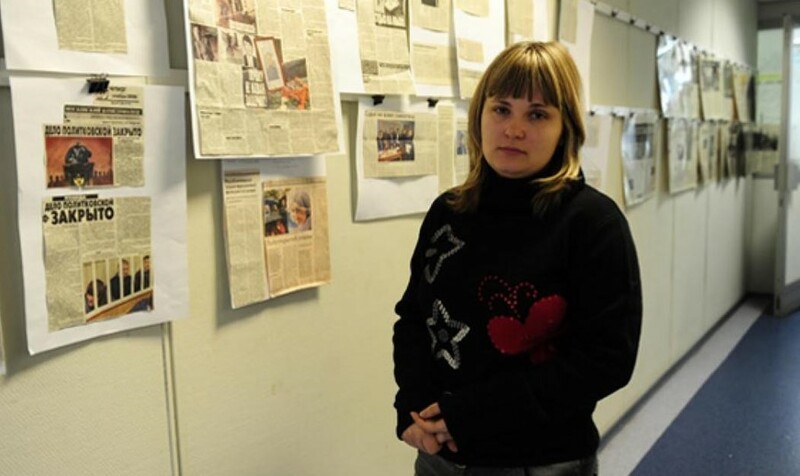 When Elena Milashina wrote her piece for Russia’s leading independent newspaper Novaya Gazeta, she didn’t expect it would become a global story. Thanks to her investigation, the world learned how gay men in Chechnya were being detained, tortured and killed by the authorities. She believed not reporting the story would be a crime, but after it was published, she received death threats and had to flee Russia to protect her life. Last week, over 15,000 people gathered in a central mosque in Grozny, Chechnya’s capital, calling for revenge on the newspaper. This week, the editorial office of Novaya received packages containing white powder, while their website was put down after an online attack. Speaking to Dazed from an undisclosed location from where she continues her work, Elena shared more details of the investigation, as well as the current situation with the ongoing crisis in Chechnya. You were the first to tell of the horrors that gay men in Chechnya are experiencing. What’s the current situation? Elena Milashina: My sources say detentions continue this very moment, and nobody is being released. This is a huge problem. We basically can't find a way to save those men who were detained in the so-called ‘second wave’ of arrests (after Elena’s first publication of the article). After the story went big, the authorities became afraid to release these men. Imagine, people who were detained on basis of their sexuality have no chance to resume their life in Chechnya anymore, so they are forced to leave. And as they leave they become vocal about the abuse. This seems obvious, but the consequences of this were not clear right away. Turns out, abuse and torture of LGBT people backfired massively on the Chechen authorities. The victims were cornered, and in order to survive, they are now ready to do anything to fight for their lives, including speaking up publicly about the torture and horrors they went through in Chechnya. But doesn’t this mean that Chechen authorities will be less likely to release the remaining gay men from prisons? Elena Milashina: Yes, and I think this is the main reason we were not able to release any more men out of detention so far. We still do not know the real scale of these abductions. We have some indication from the conversations with survivors, their descriptions of prisons, cellmates and tortures. From that, we gathered an idea of the number of murders – which is a very high number. But it is so difficult to confirm the murders, because the killings of gay men are also carried out by average people, including the victims’ own families – which is horrendous. So, the situation is far from resolved. Detention, torture and murders continue. We have only managed to put this tragedy under a spotlight, not stop it. Has the world’s attention brought any positive development? I saw your Facebook post yesterday stating that the Investigatory Committee of Russia has finally started the official fact checking for the investigation based on your articles. Elena Milashina: Yes, the investigators are coming to our editorial office tomorrow to speak to us. We’ve prepared all the evidence. How realistic is it that the investigation will actually be carried out? Elena Milashina: Look, you know which country we are living in. In Russia, it’s highly unlikely that the investigation will really be done properly. I know the investigator assigned to this case very well. I, unfortunately, cannot reveal his name. But I know he is an amazing expert on Chechnya. And if he is given the command to do so, he will not hesitate to detain everyone involved in this crime, even Kadyrov (Head of the Chechen Republic). We’ll see. What’s important here, is that this is the first time in the last three years that our publication initiated the first stage of a federal investigation. By law, any accusations that carry heinous crime should be immediately checked and then investigated – if there are grounds. But in three years, none of our publications on Chechnya have had such impact. It is a very small, but confident, first win. Why do you think the Russian authorities agreed to open an investigation this time? Elena Milashina: I think the situation with these abductions is very unique. In Chechnya, the general population is very forgiving towards terrorists, paedophiles and so on, but this ultra-conservative society has zero tolerance towards the LGBT community. Gay people are in a very dangerous spot: they will be either prosecuted by the authorities, or by their own families. So the victims can talk, but they will only do so if they know they have enough security. And only to those who they trust. This won’t be the Russian authorities, unfortunately. So if a man escapes, there is nobody in the Russian federal government he can turn to for help? What about the officials responsible for monitoring human rights abuses in Russia? This week Tatyana Moskalkova, Russia's High Commissioner for Human Rights, said that she had made official inquiries into the case. Elena Milashina: She said she did, but it’s not true. I am the author of the article, I have the facts and evidence of these mass abuses, but nobody (from the Russian authorities) has reached out to me so far to investigate this. As we all know, Chechen authorities deny completely the existence of gay men – but Chechnya has LGBT people, that’s a fact. And now they are human victims. What’s happening there is simply genocide. What are the chances of stopping it? Elena Milashina: We don’t have lots of chances. We don't have much hope either. But at the same time, I see how we have shaken Chechnya already. I honestly did not expect such a big reaction to our story. I wrote the article with a feeling of despair – but if we just stood without doing anything, in my mind we’d be the ones responsible for these crimes. As I said, it was very difficult to check the initial information and find facts of abductions and torture there. We have gone through unprecedented amounts of sources before making the claims. Basically, at the moment, we have cases and testimonies of 74 confirmed victims. Internationally, the story has been blowing up for almost a whole month now – but how is the media response in Russia? Elena Milashina: Russian media is simply not talking about the situation in Chechnya. The federal TV channels had so much coverage on a recent high-profile Chechen wedding, but when it comes to the horrific crimes against gay men there, it’s complete silence. You can literally count on your fingers the amount of outlets in Russia that have mentioned the ongoing tragedy, or that were interested in reaching out to the victims. But we’ve been in active touch with foreign journalists from the beginning. We are still getting a lot of requests from them. Elena Milashina: I think western media clearly draws parallels between these events in Chechnya and the events of the past century, where people were exterminated simply because they were gypsies or jews – or, as in this case, because of their sexual orientation. I had lots of feedback from Chechens who were telling me that they have never seen so much media attention – not even during the Chechen war, or previous instances of mass human rights abuse. What about the threats that Novaya Gazeta has received since publishing the story? Elena Milashina: This is the scariest part, actually. Chechens are infusing the story with religious motives, calling the article and facts on mass abductions an attack on their beliefs. This makes no sense at all. We have never attacked religion. But, when thousands of men gather in a mosque in claiming that we are enemies of Chechen people until the end of time, you suddenly make very clear parallels to the Charlie Hebdo attack. Do you think Novaya Gazeta could now be at risk of a Charlie Hebdo-style attack? Elena Milashina: I wouldn’t be afraid of that. The attack on Charlie Hebdo was organised by real religious fanatics who were not afraid of anything. In the case of Chechnya, the people who made the threats are the ones living in fear. 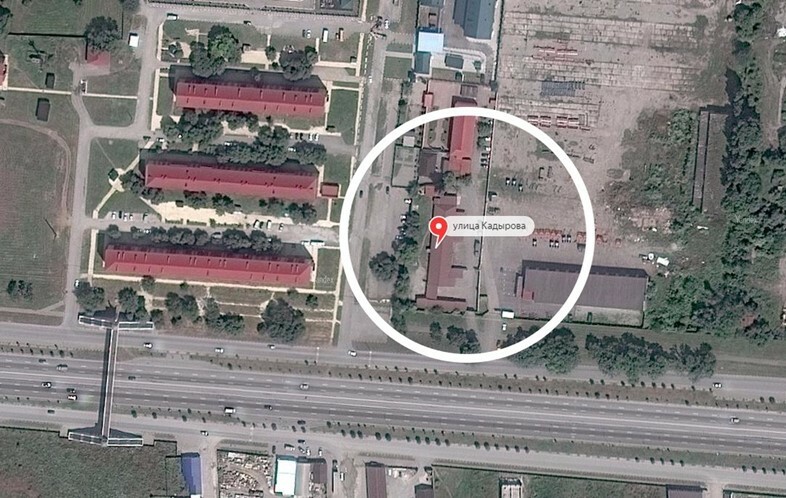 Total fear, every day – that’s the regime in Chechnya. It seems strange to fear people who have so much fear themselves. What we should be ready for is the standard Chechen way of dealing with unwanted people – getting killers to remove them. It has worked well for them so far. That’s the real threat. You went into hiding after the publication of the story – are you still doing so? Elena Milashina: Yes. In order for me to continue my work effectively, I have made the decision to go to a different country for some time. It was a difficult decision, but I am now in a country where I can safely continue working, and I intend to continue travelling to Chechnya too. And what is the situation now at the office of Novaya Gazeta? It was reported that you have received mail with an unknown white substance in it. Elena Milashina: That’s right. We have received two letters containing white powder. I am not sure what it was, but I bet it’s washing powder. It was probably someone’s bad joke. Over 270,000 people from all over the world have signed a petition asking for the Prosecutor General to start an investigation into the attacks. Do you think support from people outside of Russia can really make a difference in stopping the horrors in Chechnya? Elena Milashina: Absolutely! You already see the results of such influence. We’ve got so far already thanks to people all over the world. In Russia, nobody has influence like this – nobody is really going to stand up for LGBT people here. I have never seen anything like this before: the way LGBT groups and organisations are helping Chechen gay men at the moment is incredible. But in terms of the Russian society, there is no one really who can influence decisions on this matter. Of course, in the last month, I have seen some people speaking up and offering help, being afraid for lives of the victims. But these are individuals, and it’s incomparable to the impact the international community has on Russia at the moment. I really believe the fact that the Investigatory Committee of Russia started preparing the investigation is a result of international pressure. What can the international community do to help right now? Elena Milashina: Our fight to save the lives of people who are still in detention in Chechnya has only begun. So if you are are affected, passionate or interested in helping, it is very important to continue monitor the information, because if our government once again abuses our rights we would need you to bring back the international pressure. And we, as journalists, will continue to do our best to cover the facts and tell real stories, so you have all the information. Human rights organisations are emphasising the need to support LGBT groups on the ground financially, as well as calling on the leaders in different countries to help the survivors escape. Is this helpful? Elena Milashina: Very much. The situation is currently developing, we are still evacuating the victims from Chechnya only. None of the gay men managed to leave Russia yet. There are issues with visas, and all the foreign consulates are concerned, but none of them have yet made a definite decision what to do with the visas for these victims. There is some movement of course, and I know some diplomats have met with the victims already. You can imagine that for them the depth of this crisis is so insane, that is might sound unbelievable. And, of course, these people need psychological help. For those who escaped, it is a miracle they survived at all. They burnt all the bridges behind them. Even in safety, they continue to deny their sexual orientation. For such a long time it has been a taboo, and all these years they have felt as ‘lower class people’. They are literally so convinced of this. You can imagine that there is a whole new life ahead of them. What would the victory look like for you? Elena Milashina: The real victory would be the criminal investigation into these horrific crimes in Chechnya. It would be a massive blow against the current regime there. They believe they can do anything to anyone without being punished, and this would put limits on their currently unlimited power. I really believe that.